Offering you a complete choice of products which include propyl gallate and iron hydroxide polymaltose complex. 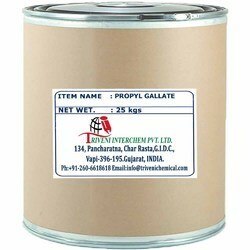 Propyl Gallate (121-79-9) is White Crystalline Powder. also known as n-Propyl gallate, Gallic acid propyl ester and Propyl 3,4,5-trihydroxybenzoate. it is use in Food, Cosmetics, Soap Shampoo and Adhesive Industry. 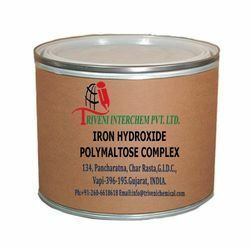 Iron hydroxide polymaltose complex. It is use in antioxidant Industry. It is also available in multiple packaging. Looking for Antioxidant API ?